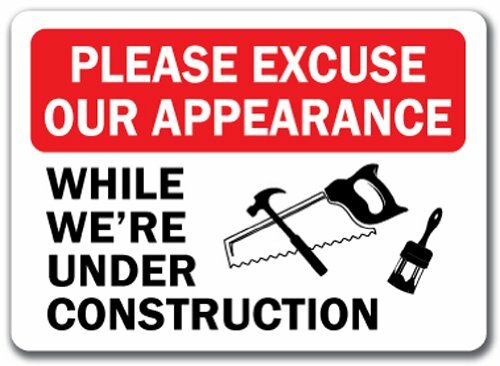 Welcome to the first installment in a month long series I'm calling All B.S. and a Little WW: Views on the Trinity! Why the B.S. and the WW? Well, you may have heard that there is this little film called Batman v. Superman: Dawn of Justice coming out on March 25th and I thought it would be a good idea to shamelessly tie into that movie celebrate the three main super-heroes we'll be seeing in that film. So all of the episodes of Views in March will focus on Superman, Batman or Wonder Woman and in some cases more than one of them. In this previously mentioned first installment I am doing two things at once; kicking off the series and also doing a little bit of celebrating. See, this episode goes live on February 29th, 2016. February 29th just so happens to be my birthday and I will be turning both 40 and 10 this year so I wanted to mark that occasion somehow. Timing was very much on my side here because there is one story that not only features Superman, Batman and Wonder Woman but also takes place on the 29th of February. For The Man Who Has Everything first saw print in Superman Annual #11 and has become a classic Superman story that has been reprinted multiple times and adapted into other media twice. Andy and I spend nearly two hour talking about this stories as well as those adaptations and try not to gush about it too much. During the course of the conversation we briefly touch on our feelings about another Alan Moore written Superman story that we, to put it delicately, don't like all that much. If you want to hear me talk about Whatever Happened to the Man of Tomorrow with Trentus Magnus click on this link and scroll down to episode 26 of Trentus Magnus Punches Reality. If you want to hear Andy talk about that story with his son Micheal click on this link and scroll down to episode 250 of Hey Kids Comics. Be sure to check out Andy's other shows. New episodes, of Hey Kids Comics are coming out sporadically so be sure to keep a look out for those. He also hosts The Palace of Glittering Delights where he talks about whatever he wants to. Then there's The Fantasticast, which is a great Fantastic Four podcast that Andy does with Stephen Lacey. Also check out Listen to the Prophets: A Deep Space Nine Podcast that Andy hosts with Paul Spataro. Finally keep a look out for the Firefly show that should launch any day now. Next Time: All B.S. 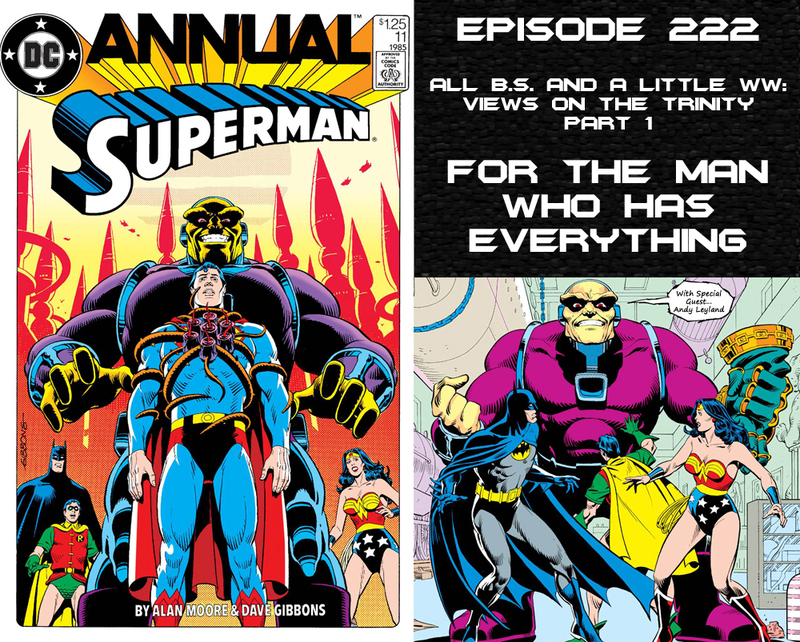 and a Little WW: Views on the Trinity continues and a certain Amazonian princess takes center stage as special guest Rebecca Johnson and I talk about the first seven issues of the George Perez run of Wonder Woman! Welcome to another edition of a sub-series of episodes I am now calling Fireside Chats. The premise is simple; I grab one of the Marvel collections published in the seventies by Fireside Books, which was a division of Simon and Schuster. Joining me once again is my good friend Paul Spataro. Paul is the co-host of Back to the Bins, Avengers Spotlight and Listen to the Prophets: A Deep Space Nine Podcast. More importantly he is a long time fan of Marvel Comics in general and these Fireside books in specific and since he was nice enough to join me for the first book it only made sense to bring him back for the sequel. This time out the line-up is fairly diverse. The X-Men lead off the book and discussion followed by Iron Man, the Avengers, Daredevil and Nick Fury and you better believe we talk about more than just the comics in this collection. Movies. Television. The history of the characters and teams in general. All of that and more is talked about and picked apart. Things get a little weird towards the end of the book when we talk about the origin of the Watcher and Stan Lee's favorite character the Silver Surfer. I want to thank Paul for coming on to the show again and being such a great co-host. Be sure to check out his shows if you haven't done so already. Next Time: A new "mini-series" begins with the first installment of All BS and a Little WW: Views on the Trinity. Yes, dear listener, I am trying to cash in on tie into the upcoming blockbuster film Batman v Superman: Dawn of Justice by dedicating the entire month of March to episodes about Superman, Batman and Wonder Woman. All three characters appear in the story I (along with Andrew Leyland) talk about. It's a little story titled For The Man Who Has Everything. Keep your eyes peeled for the show to come out on Monday instead of the usual Tuesday! Question for the group; what do you do when you are set to watch a movie at a convention and someone forgot to bring that movie with them? 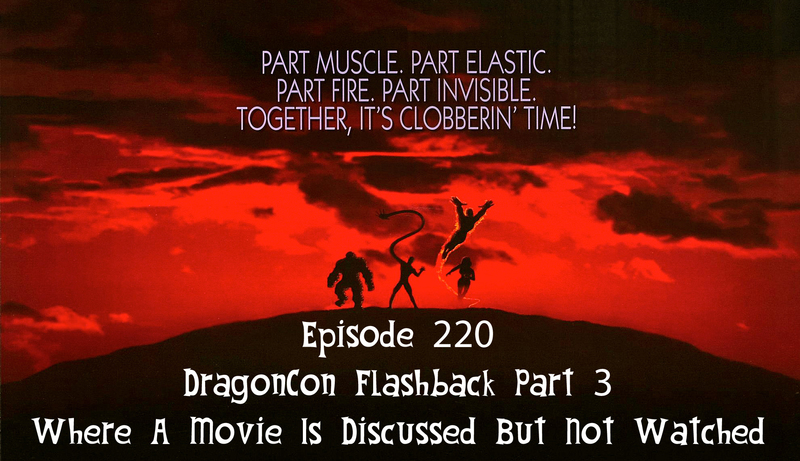 That question is asked and answered this time out with my third and final DragonCon 2015 Flashback Episode. The plan was to have a short discussion about never released 1994 Fantastic Four film and then watch said film. Unfortunately that didn't happen because someone forgot the movie. Instead a group of us sat around and talked about the history of the film, what we thought of other Fantastic Four movies and more. I was honored to be on the panel with Joe Crowe, Gary Mitchel and Nathan Laws and we had a fun time talking about the fact that something can be bad but still enjoyable. As always I want to thank Gary and Joe for having me be a part of the American Sci-Fi Classics track last year. It was so much fun and definitely my favorite part of the con. Be sure to click on all the links to find where you can find the people that were on the panel on the Internet. Also I want to thank the guy in the audience that you hear throughout the episode. I totally forgot to get his name but he knew people that were involved with the 1994 Fantastic Four movie and provided a lot of great insight because of that. Next Time: Paul Spataro is back to talk about Son of Origins of Marvel Comics. 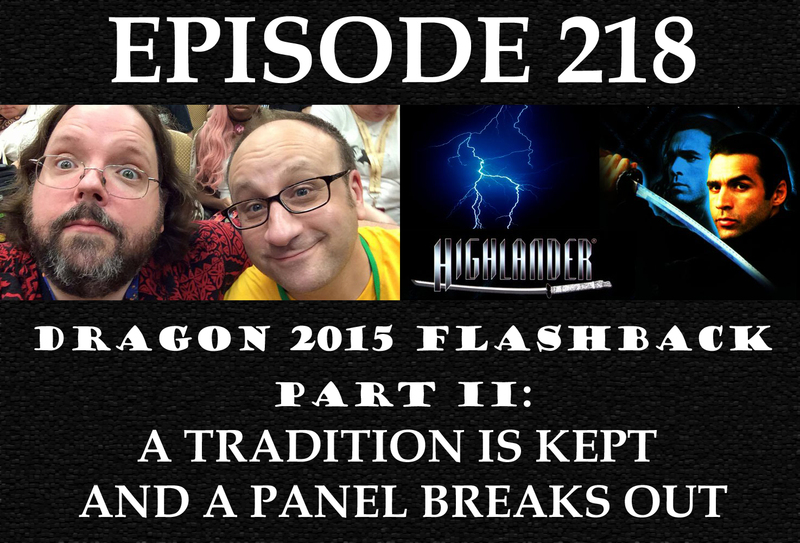 The flashbacks to DragonCon 2015 continue this week with a fun conversation and a surprise panel. Joining me for the first hour is my semi-regular co-host The Irredeemable Shag. You know Shag, right? Head honcho of Firestorm Fan and one of the founders of the Fire and Water Network? It seems that we've known each other for a solid decade now and the conversation we had was supposed to be about that but since it's us things fell off the rails quickly. The topics may be slightly out of date but it was a lot of fun and you even get our impression of drunken DC creators planning Infinite Crisis. After that is a surprise panel. I mentioned last week that Joe Crowe and Gary Mitchel are the directors of the American Sci-Fi Classics track at DragonCon. That track is full of fun programming but sometimes there isn't enough room for everything we want to talk about. Sometimes a panel happens spontaneously. Such a panel happened between two other panels one night and I was lucky to be a part of it. So sit back and listen to me, Tegan, Gary Mitchel, James Palmer and Jessa Phillips as we talk about the Highlander television series and movies. Did I type movies? I meant movie. Because according to Tegan there can be only one. There's even a sing-a-long at one point. That's how crazy things got. Be sure to check the links I've attached above to check out everyone's web musings. They deserve your support! Next Time: The final DragonCon 2015 Flashback! This time it's all about the never released Fantastic Four film from 1994! This time out I am presenting the audio from the panel I moderated at DragonCon back in September of 2015. For the second year in a row Joe Crowe and Gary Mitchel (the directors for the American Sci-Fi Classics track at DragonCon) invited me to not only be on some panels but moderate one that was all about the 75th anniversaries of a handful of DC characters. Joining me on this panel were Joe Crowe (he of the RevCast and the RevolutionsSF website), Bobby Nash (award winning author) and Philip Schweier (of ComicBookBin.com). 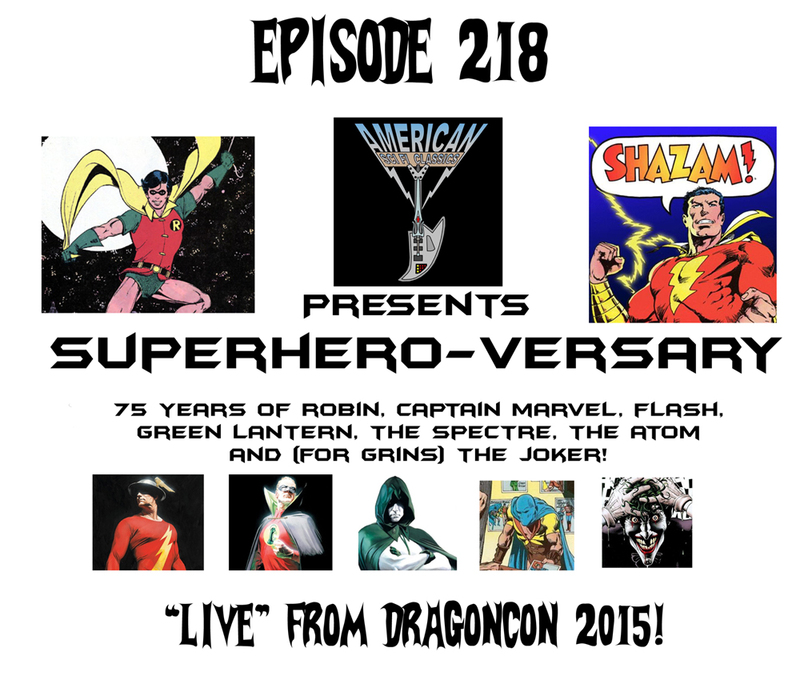 For a little over an hour we talked about the heroes hitting the big 7-5 in 2015 including Robin The Boy Wonder, Captain Marvel, the Jay Garrick Flash, the Alan Scott Green Lantern, the Spectre, the Al Pratt Atom, the Joker and...someone else. After going through the presentation I put together the audience got involved and some great conversations about the characters broke out. This panel was a lot of fun to moderate an I had a ball putting together the PowerPoint presentation which you can view in PDF form by clicking on this link. I'd like to take a moment to thank Joe Crowe and Gary Mitchel for having me be a part of the American Sci-Fi Classics family. They have made DragonCon fun for me again and I appreciate them letting me play in their sandbox. Be sure to check out the links associated with the people on this panel too. Because they're awesome. Next Time: Another DragonCon related episode...this time with 100% more Irredeemable Shag! WHAT THE WHAT IS GOING ON HERE?! So I guess some explanations are in order here. For years I have hosted the home base of Views with the company I rent Internet space and bandwidth from. For years this ran smoothly. Lately things have soured and after having one of the pages of the site hacked with malware I got sick of the day to day problems that comes with hosting a site or blog yourself. I was at a loss as to what I could do until I remembered something. Views first home was still in existence. So welcome to Views' once and future home. I am in the very early stages of all of this but within the next month I hope to have, at the very least, an index page in case you came here to download old episodes. For the moment feel free to check out the site that used to be before I clean everything up.